With over 25 years of experience in the highly technical world of motor sports Paul Murphy is now filling the need for an independent boat service shop in San Diego. 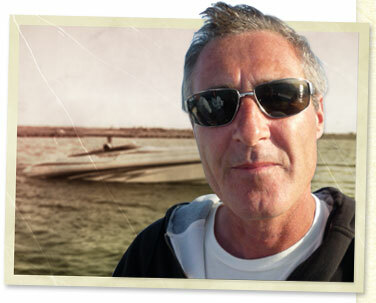 He was previously the service manager for San Diego's local MasterCraft dealership for 5 years. Before moving to San Diego Paul was a team manager and crew chief for Indy car and IRL teams. While living in Europe he worked with highly notable teams in F1. Capable of most if not all facets of boat repair Murph's Speedboat Shop specializes in upgrades, engine rigging, outdrives, transmission repair and gel coat repair. Our fully stocked shop includes the special tools and diagnostics systems for Volvo, MerCruiser, Indmar (MasterCraft), PCM (CorrectCraft) and other computer controlled engines. With years of experience in high performance racing, Paul also has the capabilities of performing custom fabrications and modifications for many of today's boats.